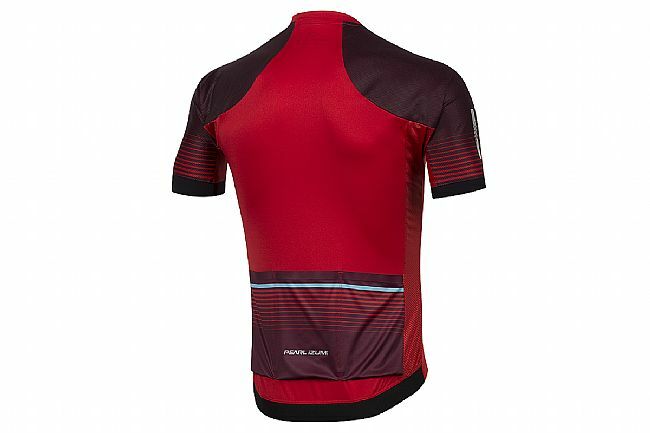 The Pearl Izumi Men's ELITE Pursuit Speed Jersey is packed with aerodynamic innovation to provide that race-winning edge. 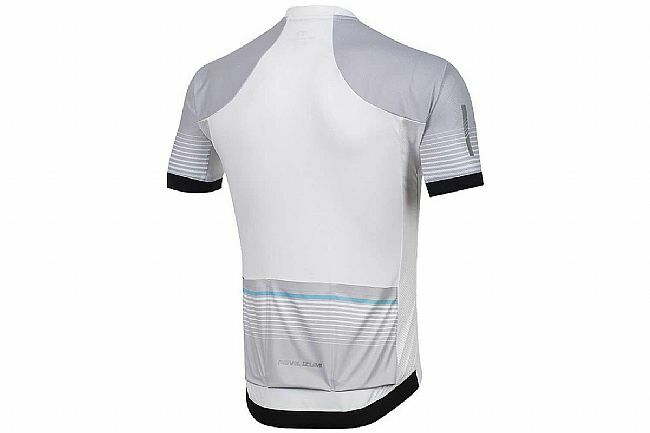 This jersey features Pearl Izumi's patented Speed Sleeve to smooth airflow around the upper arms and shoulders. 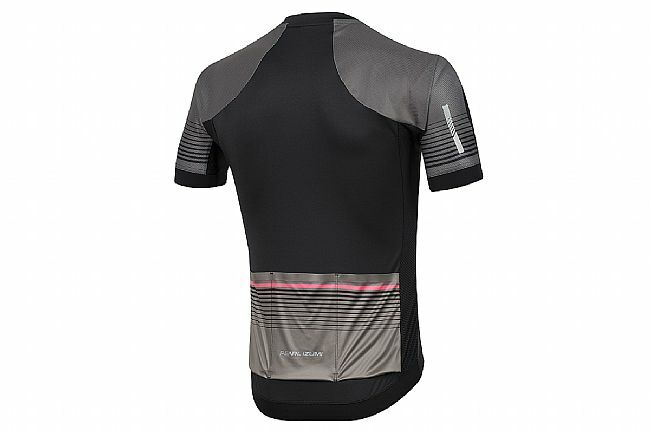 Special textured fabrics are used on the leading edges and over the shoulders to further reduce drag. ELITE Transfer In-R-Cool® fabric powered by Ice-fil® provides superior skin cooling. Direct-Vent panels provide superior ventilation. Patented anatomic Speed Sleeve construction optimizes fit in the cycling position. Longer sleeves reduce drag around upper arms. Full-length semi-autolock zipper can be flipped up and pulled open with one hand for easy venting. Silicone gripper on back holds hem in place. Sublimated graphics on selected panels. Three back pockets with bonded finish gives a clean and sleek design. Reflective elements for low-light visibility. Usually have a hard time with PI jerseys fitting well, but this was an exception. Form fitting but not sausage skin tight, and not too long in the back. Pockets hold everything in position and don't shift. Bought a medium....I'm 5'6, 150. Needed a white and light jersey for hot and steamy days. This fit the bill. The silver shoulders dont lay quite as flat as the white body but not problematic. 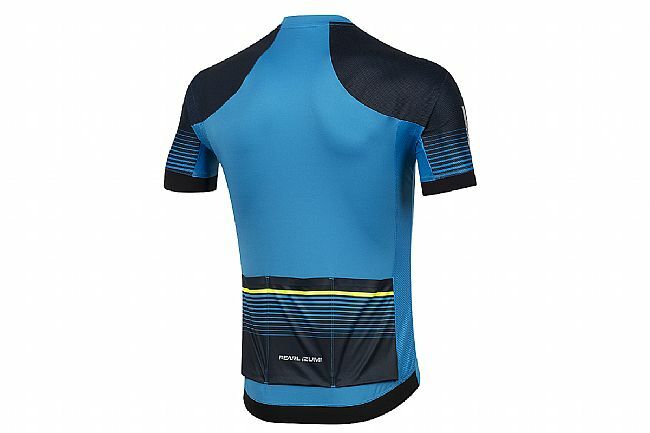 Perfect aero jersey that fits me to perfection. Im 60 and 205lbs and this jerseys fit is fantastic. No fluttering in the shoulder area and no over tightness in the chest and back. Keeps me cool in humid south Florida climate.